Presented is a Jacksonville Jaguars road jersey worn by Allen Hurns during the 2016 NFL season. 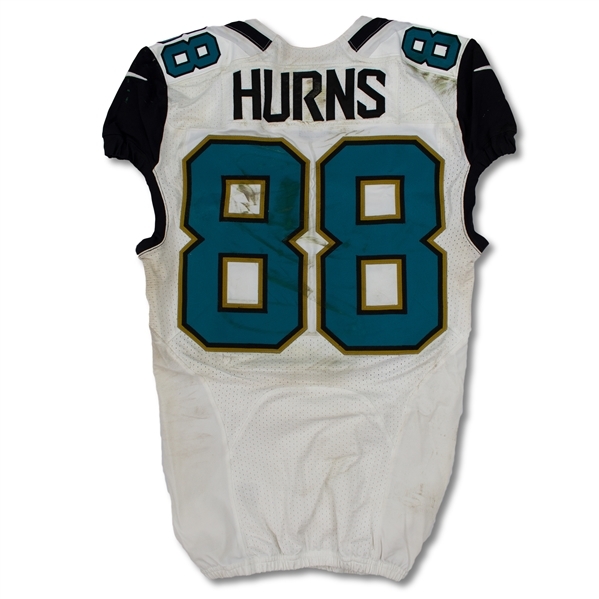 The jersey is authenticated and photo matches to a contest versus the Green Bay Packers on September 11, 2016. 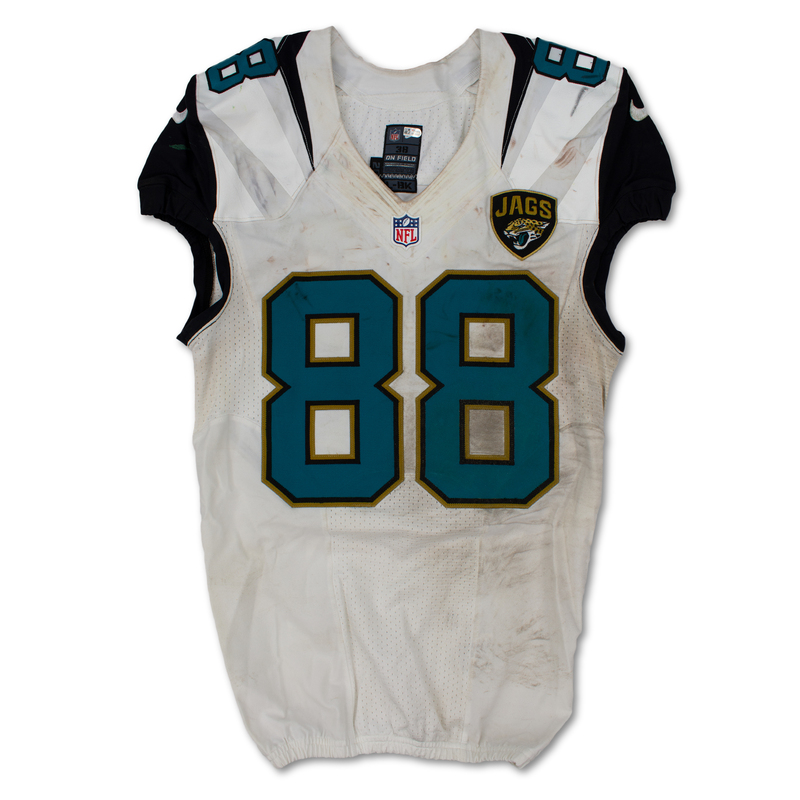 The size 38 Nike jersey is tagged "2016", "L-BK" indicating the year and cut of the jersey. 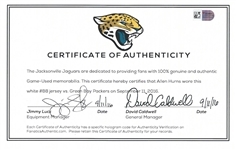 The garment shows incredible game use and comes with a certificate of authenticity from the Jacksonville Jaguars. 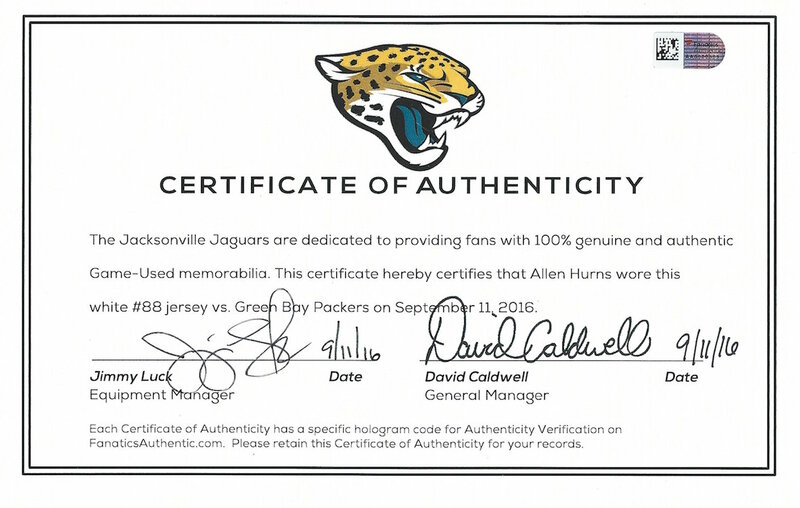 Fanatics holograms (AA0000969) are affixed to both the jersey and the certificate of authenticity.